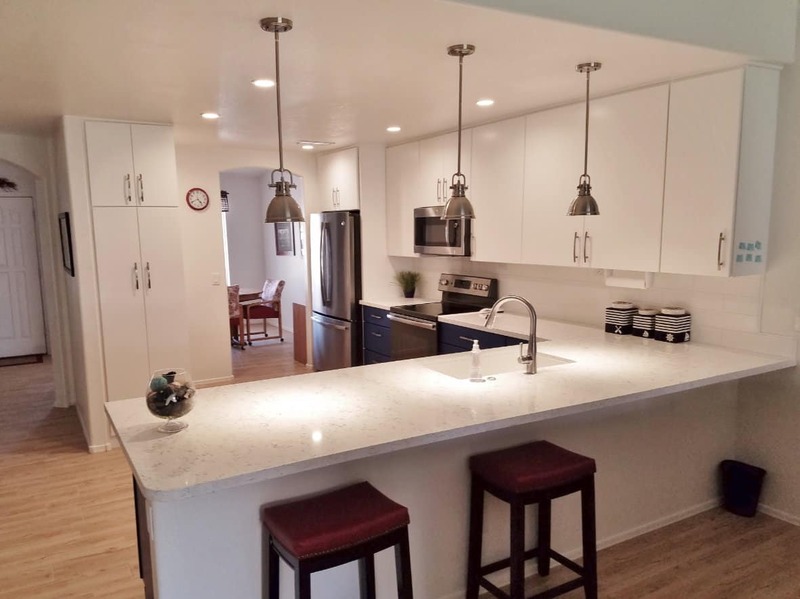 When remodeling your kitchen, you have a fine line to walk between creating the space you want and designing a room that appeals to almost anyone. Individual style is great, but it’s a lot less fun if it makes it harder to sell your home down the line. That’s why we recommend a neutral palette for permanent fixtures such as cabinets, countertops, and flooring. Don’t worry, you can use whites, beiges, and grays and still infuse your kitchen with personality. In this post, we describe the benefits of neutral tones as well as ways to make the space your own. Remodeling your kitchen isn’t cheap. You want to accomplish at least two things with your remodel: add value to your home and enjoy it for years to come. When you sell your home, you can expect to recoup between 60 and 80 percent of the project’s cost, depending on whether it’s a major or minor renovation. But, that percentage drops as you make the space feel too individual. Potential buyers walking through your home are trying to envision themselves living there. That’s harder to do when they hate the color scheme. The same thing that makes neutral colors the perfect backdrop for your personality is what’s at work here. The palette creates a blank canvas onto which you can create your ideal space. Of course, you don’t want to live your life around the idea of making your home appealing for someone else. It’s where you live and you want it to feel like you, feel like home. The neutral palette is a plus here, as well. That blank canvas is just waiting for you to infuse it with your personality. And, when you’re ready for a change, you don’t have to worry that your new décor will clash with your neutral-toned permanent fixtures. One of the fastest ways to make a home feel dated is through color. It’s one thing to wear the latest fashions. When they go out of style, you can simply replace them. It’s much more time-consuming – and expensive – to replace your cabinets and countertops. Neutral colors never go out of style. They’re the blue jeans of the interior design world. That said, even neutral palettes undergo variations in popularity. The difference is that even choosing the currently hot neutral (gray) won’t instantly date your kitchen. Whatever your personal style or your home’s over-arching aesthetic is, neutrals work, particularly white. Neutral colors go with any architectural style, from homey traditional to sleek modern designs. They also blend seamlessly with your changing tastes, or even the changing seasons. Decorate for the holidays, celebrate the arrival of spring, or break out your goblin goblets and pumpkin centerpieces. Nothing clashes against a neutral backdrop. Neutral colors include shades of white, beige, and gray. White consistently takes the top spot as far as popularity (more on that in a minute), but gray is a current favorite. Many designers like pale grays for their warmth, but also because there are lots of natural gray stone and wood materials. 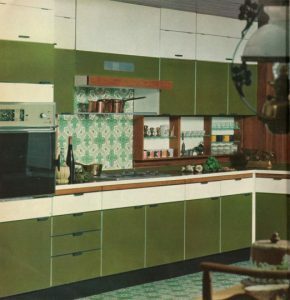 The color’s popularity coincides with the rise of stainless steel appliances, too. But, like all neutrals, any color looks good against a gray background. If there’s one color that ensures the ultimate return on your kitchen remodel investment, it’s white. 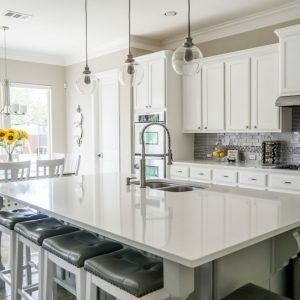 There’s a reason restaurants use white for uniforms and linens: the color fairly screams clean and fresh, two words you want people to use to describe your kitchen. Of course, cleanliness isn’t the only psychological quality of the color white. As the brightest color, white also invokes feelings of happiness and serenity, two emotions you want for the heart of the home. Not everything in a white kitchen has to be white. In addition to your décor, you can mix in wood butcher blocks and flooring, as well as black or stainless steel appliances. Think of your neutral kitchen as a blank canvas. When you’re tackling a project as big as a kitchen remodel, it can be overwhelming. That’s why our design team is here to help. We’ll work with you to design the perfect layout, customize cabinets, and coordinate your other contractors. To get started, contact Stradling’s today for a free quote.